On this episode, I’m talking with Bárbara Soalheiro, founder of the Mesa method, a five-day process for bringing people together and solving extraordinary problems. Sound familiar? We philosophize about power distribution, problem framing, Masculine vs Feminine leadership and the difference between a mystery and a quest. It’s a jam-packed hour of conversation, so buckle in. Bárbara started the Mesa method based on a few fundamental principles, essential beliefs abut human nature and the future of work. That work is actually fun and what we’re here to do. If you want to solve the biggest problems you have to work with the best minds. The only way to work with the best is in short, clear bursts. The Mesa method brings together internal stakeholders with external talent – in Bárbara’s language, “pillars of knowledge” – for five days. This external talent shows up for day one with no briefing, with just the general mission in mind. And they end their week, not with user testing, like another sprint model you might have heard of, but with a prototype that is as close as possible to what the company will build. Barabara’s perspective is a breath of fresh air and unconventional thinking, and her approach has resonated with some big names. She has been helping organizations such as Netflix, Google, Coca-Cola, Nestléand Samsung make bold moves and she’s worked side by side with some of the most extraordinary professionals of our time, people like Kobe Bryant, Cindy Gallop, Perry Chen, Anthony Burrill, Fernando Meirelles and many others. Douglas Ferguson is a deep and brilliant facilitator, entrepreneur and technologist. Douglas and I met at the Google Sprint Conference and got to know each other a lot better when he came to NYC to join my Facilitation Masterclass. It’s always humbling to see the caliber of leaders who come out the masterclass. Douglas’ Innovation Agency, Voltage Control, is hosting a Facilitator Summit in Austin May 23rd and I’m excited that he invited me to do a session on Narrative Models for facilitation. We’re also co-hosting a pre-conference Masterclass. I’m really excited about it and I hope you can make it out. Learn more and get tickets here. Douglas and I go deep on Innovation, Co-creation, sprinting and he talks about his journey as a facilitator and how he keeps learning and growing. At minute 19, we dive into why and how diversity helps groups solve problems and towards the midpoint Douglas reveals his facilitator’s secret resource: Camp counselor activity books. By minute 35 we muse about a leader as someone who sets the cadence of work, and who makes sure that cadence doesn’t become a rut or burnout. At minute 40 we talk about the Austin facilitation summit and why we’re co-running a masterclass together. Finally, at minute 53 we talk about how to talk to a CTO and how, not surprisingly, they are people. 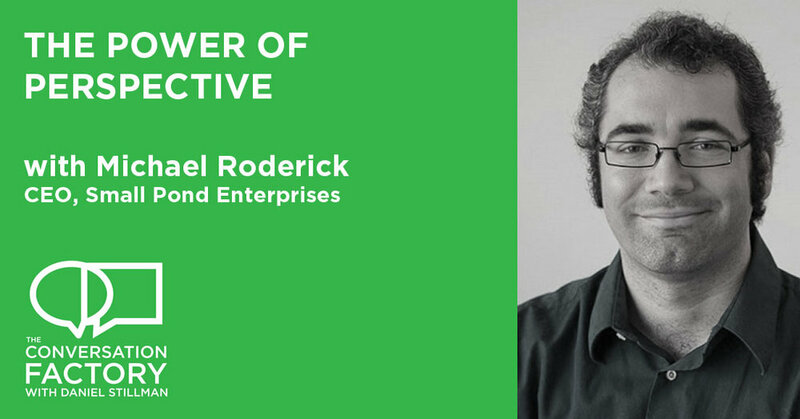 This episode features Michael Roderick, founder of Small Pond Enterprises and Host of the Access to Anyone Podcast. Michel is a coach and consultant who knows how to design conversations large and small. We talk about closing the loop on free advice (let people know if if it works…otherwise we’ll keep giving bad advice! ), teaching through simulations and how to see patterns and build frameworks. Michael sends a daily (yes, daily!) email that I actually read! His claim to fame is that he went from High School English Teacher to Broadway producer in under 2 years, which is fast for *any* career shift, let alone a jump like that. I first learned about Michael’s work years ago through his conference, ConnectorCon, which he designed to build a safe space to talk and connect, and to learn what it takes to be a great connector. One of the reasons I was excited to bring Michael on the show is that he sees the world through a lens of frameworks, just like me! And we hit on several key ideas that resonate with some components of my Conversation OS, which is always nice. The Cadence of Connection. We talk about how Community is a resource you *can* draw from if you’ve built it up over time…and how you need to build it before you need it. Like sleep, it’s something you have to do regularly. What’s On TV (or…the importance of perspective) Michael has many, many great aphorisms, but this one is amazing. The idea is that you will always be too close to your own issues to solve them… unless you take time to pull back and see the big picture. This is also why we’re always better at solving other people’s problems! And why having a coach is essential. Competition doesn’t exist… just specialization and niches. We are in competition with ourselves, each of us trying to find our own niche. But watch out! All specializations aren’t compatible…what’s interesting about this to me is the idea that if we can’t connect with someone, it’s not always because of anything other than incompatible approaches, not something “wrong” with you or them. The Power of Invitation. As Michael points out, “People love to feel useful, but they hate to feel used.” Pressure never works well as an engagement tactic, at least not in the long term. Asking permission, asking nicely and giving people the option to say no gives people choice and allows them to choose to be highly engaged. You can find links to find Michael on the internet and some deeper learning points in the show notes. Thanks for listening! You might have noticed I’ve been a little slow on the episodes lately…I’ve been focusing on my next book, due to come out next year! I’ll be kicking the podcast back into gear soon. Enjoy the show…and if you do, please take a moment and leave a review on iTunes. Today’s episode features Kai Haley, Lead of Design Relations and the Sprint Master Academy at Google. We talk about design sprints and building a “sprint culture” as well as a much bigger question: The need for ethics in design. If you can build anything, faster, it’s a kind of super power. And with great power comes great responsibility. While you might have heard Spider-Man say that, it also made me think of my favorite Plato’s Dialog, Gorgias, which points out that power without knowledge of good (and evil) is pretty dangerous. Kai believes that training a sprint master means giving them the tools to keep people honest and mindful of their choices. But Kai makes it clear that any attempts to “copy & paste” the Sprint (just like any new way of working) into an organization will experience some turbulence. Adopting a new way of work can create a wave of change that will ripple out into the organization. To find sustainable success means changing rewards and recognition practices, building training and management support and lots and lots of flexibility and patience. We don’t get into the basics of the design sprint in the interview so I’ll say a few words of background. A design sprint is a structured process for getting a group of people to get together and make a big decision in a shorter—than—normal period of time. Sprints are a general term in use in Agile software development for some time and they have become really popular in the digital product design world as User Experiences Designers have had to contend with the spread of Agile in the world. In the last few years Google has developed an approach to design sprinting that blends parts of design thinking and parts of Agile into a powerful structure; building a clear, compelling narrative thread in the process. Inside Google, sprinting has developed into a key part of their culture, and the world is starting to take notice – starting with the NY Times bestselling book “Sprint” by former Google Ventures employees Jake Knapp and John Zeratsky who took their own unique flavor of the Sprint and wrote a clear, thorough, check-list approach to the method that made it seem simple enough for anyone to try. While it’s often shorter inside Google and other organizations, the canonical structure is a five-day workshop that opens up a key challenge for a group or a company, explores several options to solving it and closes the loop with user research. Often workshops (that people like me run) *can* wind up feeling like Innovation Theater. Workshops can help teams get clear on a strategy and excited about big ideas. But those ideas can fade once the workshop ends. The ideas and the excitement get lost inside the organization. People who weren’t there can question the validity of the ideas and power of their shared conviction. The Sprint format helps a workshop gain momentum and power though a key difference from the average workshop. For Kai, the key distinction between a workshop and a sprint is that a sprint develops a prototype and puts it in front of customers to get feedback on a key idea. A sprint helps end debate with evidence – and helps continue the conversation long after the workshop. The cadence of work is sped up to force a decision and to create positive pressure, all while holding the work within a clear and powerful narrative thread. The visual map of the 5—day process helps get teams bought in on the power of working this way, establishing clear goals and agreements – regardless of how tough the middle of the week-long workshop gets, there are customers being recruited to test out the ideas, making it harder to give up and loose momentum! Gransfors Bruk Axes: We have unlimited responsibility for Total Quality. 1. How do you shift an entire cultural conversation? 2. How do you build a sustainable business and team around it? 3. How do you sustain yourself as an entrepreneur though all of this changemaking? 4. How do you get the help you need to grow in all of these conversations? Dan Doty is the founder of an organization called Evryman that exists to help change the cultural conversation about men, to help provide support, tools, and experiences for men to build deep connections that unlock and accelerate personal growth. And it’s something that’s really needed in the world. The current cultural conversation about men is about Toxic Masculinity. Dan’s work is about shifting the cultural conversation to what Healthy Masculinity looks like, and how to build it. I’ve been to a Men’s Emotional Leadership Training with Dan and his team (also called MELT) earlier this year and it started a new phase of growth for me…and my own dad went to Evryman’s men’s weekend called the Open Source Weekend and he experienced a major shift. My mom noticed it the moment he came home! So I’m a real believer in this work. In fact, I just started co-hosting a men’s group recently with Evryman. Together, we build a conversation map for Dan. A conversation map is a reflection tool for leaders to examine key areas in their work and life and to get them in order. If you check out the video or the show notes you can see some of that visual work. I’ll link to some templates as well. Dan is a coach and an entrepreneur, and he’s got an incredibly holistic approach to supporting himself as he leads change – one of the most balanced that I have seen. Of the four core conversations (Community, Team, Dialogue and Inner Dialogue) Dan is cultivating space and time for each. Leading a big cultural conversation while still making time for your internal conversation is a huge challenge for leaders. Enjoy this episode and pair it with an episode from last season with Claire Wasserman, founder of “Ladies Get Paid”, an organization which works to eliminate the gender pay gap. There are a lot of similarities in the patterns these two change-makers are building to help them lead a BIG change in the world – changing the conversation around gender is no small task. Self care is core to Dan’s work with himself. He takes refuge in green spaces, meditation and time with himself. His quote that self-care is either pre-hab or rehab is absolutely brilliant! The “lone wolf thing” isn’t working anymore. Dan finds and integrates coaches and coaching for things he wants to excel at: for his TedX talk, for his business, for his emotions. Like many early-stage startups, they have a small team that’s spread out. Having a clear set of principles and goals helps them focus. What’s very cool about Everyman is they integrate team and community very intentionally, working with community members to build and extend the core team. Dan’s organization is doing a lot of awesome things and doing them consistently, with a thoughtful cadence. The Open Source retreat happens on two coasts regularly, helping bring in new men to this work and helping reconnect people to the work and each other, as well as giving new leaders an opportunity to grow and practice. The work Evryman is doing to connect to other communities of practice across gender lines is awesome as well, Women Teach Men for example, seems amazing. They’re also giving back to specific communities, working on project for veterans and another project for Israeli and Palestinian men. Enjoy this rich and deep episode! Critique is one of the most crucial conversations there is. How to ask for and get feedback when you need it is a core life skill. Without it, we’re in the dark. Setting up a special time and place with clear rules and goals to get the crucial feedback you need to move forward...that’s designing the conversation, and I can’t think of a conversation that’s more critical. Pun Intended! My guests today are the authors of the wonderful (and quick reading!) book Discussing Design: Improving Communication and Collaboration through Critique Adam Connor, VP Organizational Design & Training at the strategic design consultancy Mad Pow and Aaron Irizarry, Head of Experience Infrastructure at Capital One. Critique isn’t just fancy feedback...Critique is about asking for and the designing the conversation you need to have, with the people you need to engage. Do you want: a Reaction, a clear Direction or deep analysis? That’s Critique: it has rules and boundaries, and if you don’t ask for critique, you can’t get it. We dig into the 3 myths of Critique, how critique isn’t really a designers skill, it’s a life skill for anyone trying to bust out of the status quo. I want to highlight a few things you’ll hear towards the end. I asked Adam and Aaron to discuss how they handle a few key aspects of the Conversation OS Canvas in their critiques, like power dynamics, turn-taking, and interfaces and spaces for the conversation. Invitation: The core point (and what the opening quote is all about) is that you get the critique you ask for. And that if someone *isn’t* asking for critique it’s pretty tricky to offer it to them successfully. In those cases, getting permission to give feedback is essential. Power: Adam sets the ground rules that if you’re invited to the critique session, your voice should be heard, and that in this session we’re all equal. The facilitator is there to balance voices, to call out people who are to dominating or hiding in the conversation. Interface: I always say that when you change the interface you change the conversation. Adam and Aaron both prefer in-person critique conversations – email isn’t designed to support the depth of communication real critique requires and as they say Asynchronous feedback will never be the same as a live conversation. But as teams become more distributed and digital, they’ve found some benefit in doing a pre-read and a notation round in a tool like InVision or Mural, and then moving to a video call. Turn-Taking: While I am pretty obsessive about turn-taking, Adam says that he’s sensitive to it, but doesn’t want to over-control it, preferring an organic flow. He’ll sometimes use a round-robin to make sure everyone speaks in turn and at least once. Finding a way to balance voices within an organic structure requires a skillful facilitator. Also: There's a video, if you prefer watching over listening! Our guest today is Dee Scarano, Head of Design Sprint Training at AJ&Smart. They're an agency based in Berlin that is 100% google-sprint-based. They have a *fire* youtube channel that you should check out if you want to run more sprints, well. I met Dee at the Google Sprint Conference back in late 2017 and when I saw her run a large group workshop, I knew I had found a kindred spirit! Dee is what I would call an Atomic Facilitator. Not because she's small and powerful (which she is) but because she has a tendency to break facilitation down into tiny, tiny components. I do the same thing, so it was fun (like, really fun: Bucket of puppies fun!) to sit down with her and dig into how she designs her group conversations and why. Again - If you haven't checked out AJ+Smart's *aces* Youtube channel, you should - they have a boatload of helpful content, and they are launching an online course about Design Sprints which you'll hear about in the show and which I'll link to below. Atomic Facilitators are different. 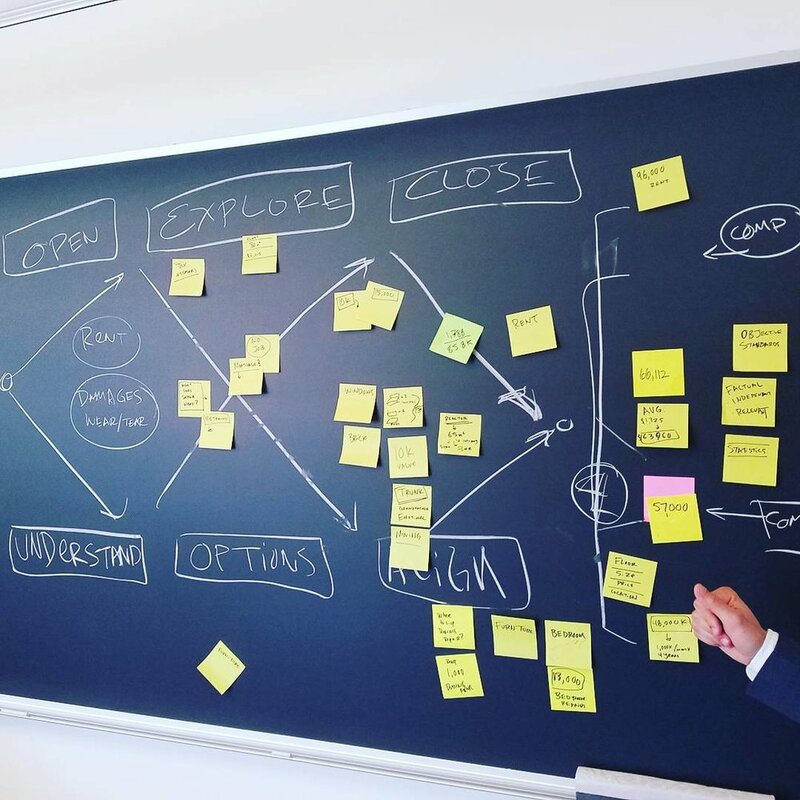 Last week I was in Boston run ning a 3-Day Design Thinking Intensive at a giant consulting company and I was working with a facilitator who was a "big arc" facilitator. He gave the groups a task to do, a goal to get to, and didn't choose to manage the "micro process" of how they got there. Each team negotiated at their tables and chose a different path. One isn't better than the other, but it's worth asking: Which of the tables had more fun? Which of the tables felt less tension? Which of the tables made a better decision? Atomic Facilitators like Dee have thought through and tested and tried many, many ways to get people to make better, smoother decisions together, and has chosen ONE that they love and feels great about. They hold that design choice in their minds and carefully guides a team through it, step by step. Dee and I talk about Design Sprints, but we also talk about how to take that Atomic facilitation style that's baked into the standard 5-day design Sprint process and bring it into your work, every day. AJ+Smart uses the same tools from the sprints to facilitate their Friday retrospectives (they do a 4 day sprint each week, with a day for reflection). The clarity and confidence that come from examining your approach means you feel comfortable teaching it, which is something Dee does a great deal of. As Head of Design Sprint training, she's responsible for helping teams get the knowledge *and* confidence to get started on their first sprint, which we talk about, too. My book! In pre-order! Just saying! I hope you enjoy the show as much as I did making it! For some people, facilitation is a means to an end: Getting things done, more in less time. Taking the time to think and talk can seem like a luxury when your team just wants to just "get going". Facilitation, then, becomes like any tool like a drill, or a knife...you don't actually want the tool, you want a hole in the wall or a carrot sliced. When you're done with the tool, you go on to the next thing! But for other people, this space between posing a challenge, thinking, talking and doing, is worth deepening. Facilitation then becomes more than a thing you do to get to the next thing...It becomes a way of being and approaching the world. Facilitation becomes a core value, a principle. The problem with facilitation as a means to an end is that facilitating well is a design problem in and of itself, which requires thoughtful work and practice. Focusing on the ends instead of the means, in this case, can cause people to give light consideration to facilitating masterfully. But when the conversation really matters, someone really should design the conversation. It's really delightful to talk to someone like Alison for whom, like me, facilitation *is* the work...deepening it for ourselves and others is why we do what we do: Not just helping teams as a facilitator, but helping others to develop as facilitators. Alison is the founder of *Bracket*, a consultancy based in the UK. She helps teams at companies of all stripes to work better together. She's also written a lovely book “A Pocket Guide to Effective Workshops”. Alison is also, like me, a workshop geek. Facilitation is a design skill, and like any design process, each facilitator is going to bring their own assumptions, good and bad, into the process. So it's critical to be self-aware: Why do you make the design choices that you make? Alison is a thoughtful practitioner who helps other facilitators become the same way. Design is about intention. A facilitator needs to be able to visualize each and every step through the workshop process... What size paper will people be using when and why? What color and thickness of pen? The sheer number of design choices involved in the process means that facilitators *can* fall into a rut. Finding fresh perspectives and approaches is crucial...which is what this podcast is all about! I hope you enjoy this episode! The importance of making time for silence and reflection in reducing power dynamics and "groupthink"
Richard Florida "The rise of the creative class"
Alison Coward is the founder of *Bracket*, a consultancy helping teams in the creative and technology sector to work better together, with clients ranging from Fortune 500 companies to startups. She is a strategist, trainer and workshop facilitator and the author of “A Pocket Guide to Effective Workshops”. With over 15 years’ experience working in, leading and facilitating creative teams, Alison is passionate about finding the perfect balance between creativity, productivity, and collaboration. In this episode, I talk with Matt Mayberry, Head of Business Development at Boundless Mind. Boundless Mind popped up on my radar when their awesome and free ebook on Behavioral Design shot up to #1 on Product Hunt. I'm thrilled Matt came on the show and shared his story. His own passion for behavioral design came from his experiences watching critical patients resist changing behaviors that would save their lives. Even with death staring people in the face, changing deep seated behaviors is hard! Behavioral Design was something I was aware of as a UX designer but was by no means an expert. Behavior design researchers like BJ Fogg and his behavior grid was something that inspired me early on in my UX career. Since then, behavior design is something I infuse into my innovation consulting: Big change takes a big impulse. Smaller changes are easier and can snowball with the right motivation and momentum. Sitting down with Matt helped open up some new avenues to think about how behavior design is everywhere you look! Boundless mind is fascinating: They serve two sides of the challenge, for companies seeking to change behavior AND consumers wanting to reboot their addictions. The Boundless API helps companies find the optimum timing for motivating rewards and the app Space breaks that timing cycle when you need some freedom from the apps that grip your brain. We talk about how choice architecture in the real world can help shape behaviors, from organ donation rates in Germany vs Austria to how supermarkets get you to wander the whole store and buy more than your intended. Giving people too many choices makes choice harder: Architecting or limiting choices is a form of behavior design. Pulling back, Matt places *all* design into behavioral design: Industrial, UX, Service and Conversation Design *all* seek to shift behavior! One big take away I had was how small acts of mindfulness can have a big impact. Matt's CEO keeps a database of how people in his organization take their coffee and other preferences. The idea of keeping a Delight Database is amazing. While the ideal of behavior design might seem like manipulation, in the end, it's about understanding what will delight people and giving them more of what they want, at the right time. I hope you enjoy the episode as much as I did making it! Rewards are *not* incentives: The "hit" from expected Incentives get dampened over time, variable rewards do not. Choice Architecture is simple way to bring behavior design into your work: Just Ask Thoreau! Much Much More on Behavioral Design, persuasion, and habits. Matt Mayberry is a Behavior Designer and Head of Business Development for Boundless Mind, a persuasive and behavioral technology company using Artificial Intelligence to drive behavior change in technology products. You can find his sporadic 140 character short-term writing here and his 1400 character longer form writing here. What is your conversation lens? How do you even see what's happening in a conversation at work or at home? How do you know it's going well or awry? How do you get conversations "back on track"? And how do you see and *shape* how *you* show up in them? How do you know what you bring into the room, good and not so good? In short, how do you become a mindful facilitator? Conversations impact the outcomes we get: Conversations propel people and organizations forward, or they get stuck: The groundhog day conversation! Marsha Acker, the CEO of TeamCatapult, sat down with me to talk about her unique view on these things and much more, along with her passion for ending stuck conversations in organizations. Marsha has over 22 years of experience designing and facilitating organizational change initiatives and TeamCatapult has been helping develop leaders and transform organizations since 2005. Meeting someone with a *totally* different "heritage" who has come to some very similar conclusions about the nature of conversation design is truly delightful! That facilitation is about being conscious of what conversational tools you pick up: Knowing where and when you're stuck and picking up the right tool for the moment, instead of the habitual one. The Structural Dynamics concept (scroll to the bottom for a nutshell description) of a conversational operating system is deeply resonant with the three creative energies of Open, Explore and Close that I sing about non-stop and it was amazing to get her take on the Four Conversational Actions, which give a better shape to idea of "threading" in a conversation than any model I've encountered yet. It's really profound to see how each time someone speaks they are shaping the course of the conversation, helping it to slow down or speed up. I geeked out pretty hard with her...nevertheless I think you'll find a lot of amazing tools to bring into your own work! I'll link to some of her upcoming workshops in the show notes: Her company offers a host of amazing experiences, from a 2-day Advanced Facilitation workshop to a 5-day Agile Facilitation and Coaching Intensive with several dates coming up in May and June. Do check out the show notes, where I'll break down some of Marsha's points on Structural Dynamics and share lots of other links. The Facilitator's Stance: Finding another place to lead from. The "front" of the room is familiar to most, but facilitation can increase your "range" of leadership capacity. Setting agreements with your group: Asking people to say what needs to be said *in the room* so it can be processed and worked with. 1. Start with the Tusks: Find the conversation that matters - the critical or most stuck conversation. Start where it's hot. Go to the elephant in the room! 2. Look at how *you* show up...how you are is how you'll facilitate. 3. Bring Your Authentic Voice: Find your natural stance and work from there, instead of trying to imitate someone else's. Power: Using language in order to get something done. Meaning: Asking for evidence and action that can support their desired outcome. Affect: This is about using emotive language to affect feeling and to develop connection and intimacy with others. Advanced Facilitation: Self-Mastery and Reading Group Dynamics is June 27-28, 2018 in Washington, DChttps://teamcatapult.com/workshops/advanced-facilitation/. Sarah Hill and I will be co-leading this workshop. You will learn about your own model for communication and how to shift the nature of the discourse in conversations and how to work more deeply with group dynamics to become a more confident and effective facilitator. In the fourth level of structural dynamics is the important role that childhood stories play in how we behave in the room today. Sarah tells many stories, including her own, of how she worked to become aware of the story and change the narrative. Marsha Acker is a leadership and team coach whose passion and expertise is helping leaders and teams identify and break through stuck patterns that get in their way of high performance. Marsha is the CEO of TeamCatapult, a leadership development and organizational change firm, founded in 2005. She has over 22 years of experience designing and facilitating organizational change initiatives. She has served for six years as the track chair for defining the ICAgile Coaching and Enterprise Coaching learning objectives and is currently a member of the ICAgile Agile Coaching Expert Certification panel. Marsha is a Certified Professional Facilitator (CPF), Certified Professional Co-Active Coach (CPCC), Professional Certified Coach (PCC – ICF), Certified Interventionist in Structural Dynamics and Changing Behavior in High Stakes (Kantor Institute and Dialogix), Organizational and Relationship Systems Coach (Center for Right Relationship), Certified Change Management Professional (CMP), and an ICAgile Certified Expert Agile Coaching. Today I talk with Jim Kalbach, author of Mapping Experiences, an amazing resource for anyone who wants to help a group of people gain alignment..alignment on what's actually happening in their organization, with their customers, and alignment on where to go next. This season, I'm investigating ideas and tools around thinking alone and thinking together. Thinking together matters because whenever we meet, it's a chance to make a choice...and if our thinking is habitual, based on power dynamics or just plain haphazard, the choices we make will be habitual and haphazard! Great facilitators help groups of people think together in amazing ways...Jim is an ace facilitator and I'm thrilled to talk with him today! If you want to see our faces, there is a video in YouTube of our conversation. As Jim said (to my heart's delight) It's not the map, it's the conversation *about* the map that creates real change. The map is just a durable artifact of the conversation, and lasts longer, communicates better, than a report or slide deck. It's also something people build together, so it gains power from the IKEA effect...people love what they invest time in. We also talked about the powerful draw the idea of "mapping" has for people: It's like asking for a name brand mustard! He got a call from an amazing organization called Hedayah way out in Dubai to do a mapping workshop for former radical extremists to talk about their journeys out of radicalization and into helping others. He Had to figure out *where* in the long journey of the extremist's experience the work needed to be focused...and we talk about how he got it wrong and how it got it right. This is one really interesting takeaway from our conversation: Jim is very intentional about how much to do *with* the group, live and in person and how much to build *for* them, through research and his own reflective process. Leaving it incomplete helps people enter into the world of the map and make it their own. Showing a perfect artifact is *not* the point of these tools. He sees it as a proposal, an opening to the conversation, like a first offer in a negotiation. Hendauah asked him to come to Dubai and bring together former gang bangers, white supremacists and Al Qaida members to talk about and map their experiences. T here's a long arc of that experience...and the organization wanted the focus on a particular *moment* in the journey: Not the radicalization journey, not the de-radicalization journey...but the journey of those who choose to help de-radicalize others. Figuring that focus out took a lot of conversation with his partners in Dubai. The more specific you are about your journey "moment" the more clear your work can be...you can zoom in on what's really crucial...and situate that moment in a larger arc. Find an arc and a flow for your mapping workshop: Just like your customers have experiences that you can map, you can map the experience of the team as you think about how they will enter into the workshop, what the flow of energy will be...and always have a plan B: keeping things moving along. Jim talks about shifting the energy and activities between introspective, conversational and game-based. We also talk about remote workshopping and more! How can you get from the map to an experiment? Remote can work with the right tools, enough focus and time: Don't try to replicate the in-person experience...but a mapping workshop is a good reason to get a geographically spread out team together. Mural.com is a great tool for this, but you *must* rethink your methods, cycle through your participants and break exercises into much smaller chunks of 3-10 minutes. To get remote to work, weave multiple tools together to give people a multi-tasking mindset *on the workshop*...using chat, surveys, mural and other tools. The remote design thinking workshop with Glenn Fajardo and Kal Joffres with the D.School. The experience map can become a container for the interviews, empathy and notes as the workshop progresses. So...Cybernetics. I was describing the ideas behind this episode to a friend and he was like "cybernetics is about steering?" And yep, it is. Check out the show notes for some essential links on cybernetics, *and* an essential diagram to help follow along with this episode. The idea is this: You have goals and I have goals. If we're in conversation, the way we find a shared goal is through probing, experimentation, alignment on means, revision of the goals, mistakes...and recursion. The recursive process of seeing a goal, aiming for it, seeing the "error" or gap and then moving to close the gap...that's cybernetics. And the principles of cybernetics really are a way to think about everything. Or, rather...anything that has a purpose, goals, intention. So, orgs that need to shift business models, teams that need to tighten timelines...getting your friends to pick a restaurant for next week...So, everything that really matters! If need people to agree on things before they can happen, you need cybernetics. And if you're good at getting people to agree, you're a solid cyberneticist. Or, in my language, an ace conversation designer. In my journey through conversation design during this first year of the podcast, Dr. Paul Pangaro has been a rich guide and mentor, one of the people who sees the diverse ways that conversations shape the world, how systems can have purposes and goals....and in true conversational style, I've certainly been altered by his ideas. When I recorded this interview in 2017, Paul was the chair of the interaction design MFA at Detroit's College of Creative Studies. Currently (in 2019) he’s Professor of the Practice in the Human-Computer Interaction Institute at Carnegie Mellon University. Paul got his BS from MIT, where he wound up getting hired by Nicholas Negroponte into a program that evolved into the MIT Media Lab. He then went on to get a PhD in Cybernetics in the UK and came into contact with Gordon Pask, a cybernetics and conversation design visionary, whose work Paul is still evolving and processing. The application of cybernetics to conversation has been a mind blower for me. It's helped me think about how to structure longer projects, to design teams, to form powerful framing questions. That ability to frame a question in an invitational or motivating way, making it seem solvable without giving the solution...it's an amazing superpower to be able to kickstart an amazing conversation. But asking that question designs the conversation, sets the stage for what comes next...and so I'm always cautious in my conversation designs to control for writing solo before group conversation flows...because whoever speaks first sets the stage for whatever comes next...they speak in response to what's been spoken already. We talk about three big conversations design concepts that are worth paying attention to: how to think about group composition and cadence, the conversation with yourself, in the past (time travel!) and the relationship between goals and play. 1. The group conversation. Do we have the right people in the room? Do we have enough diversity to answer the question at hand? Can we design a cadence of interaction that allows us to shift the question and the composition of the team in a responsive way? In Cybernetics, a system that wants to influence another system has to be at least as complex. Is your team more complicated that the problem you're solving? Good! But...who gets to frame the group and the cadence? How do we invite people into the group conversation? Who has the power to give permission? 2. The conversation between myself now and myself in the past through writing. I'm a fan of pen and ink...because as we write, we watch the ink flow and see our thoughts as they were moments ago as we move into the future. The act of sketching or writing allows us to witness our thoughts as they were and converse with them. Crazy right? 3. How established, shared goals allow us to play together, even become one. If we're dancing, a "form" helps us know our roles and goals. Are we dancing the Tango or a Waltz? Knowing this makes it possible to better respond to stimulus from our partners. I think that's why Agile/Design Thinking/Lean are so popular. With Parkinson's Law of ever expanding work, there seem to be no rules anymore. We've broken partner dancing (starting with the twist) and now we never know what to do on the dance floor. Some of us crave for a throwback time, the swing era, the mystery of the tango...where we knew what to do, where there was more clarity. Agile, Scrum, Design Thinking...they are a dance form that makes it clearer what the roles and goals are. They're a game we can play if we know the rules and have a shared vocabulary. When we share goals, the line between us blurs, or dissolves. We live in "amity"...or you can draw a box around us and call us a system with a shared purpose: to dance! So...this is the last episode of season one. It's been a year, 22 episodes, hours and hours of conversations in real time and many times that in listening and editing and writing about them. I've learned a ton and had a blast. I'm taking the holidays off and am working on season two! Stay tuned and enjoy the show. The Self Talk NYTimes article: When people repeated their tasks to themselves, they did it better, if it was a clear task. Also check out the Conversation Within Your Head. Women make 79 cents on the dollar compared to men and that's wrong. (depending on how you cut the data it's either slightly worse or slightly better - but it's still bad). It's a systemic problem and most of us would throw up our hands and say "There's nothing I can do about it!" Instead of doing nothing, Claire Wasserman has built a powerful community called Ladies Get Paid around a powerful and critical idea: Fixing the wage gap. And while she says that "this conversation needs an overhaul" it's not just talk. Claire's organization brings women together in town halls all over the country where they focus on what woman can do with their own hands, like learn better negotiation skills and apply for jobs they might not feel ready for, but probably are. Men have been trained, somehow, to be more (slash-over) confident, while the imposter syndrome seems to effect women more strongly. Claire is an experience designer, designing in-person, transformational events in the same way that a UX designer crafts an app or an HR manager crafts a personnel policy: Thinking about the goal, the intended effect it will have on a person, and working backwards. It is, in the end, Human Centered Design. The materials change, but the goal is the same! That, after all, is the nature of, and best definition for, Design: Making something to shift the way things are to the way you want them to be. Ladies Get Paid is designed *by* Claire to make the change she wants to see in the world, to change the conversation about gender and money. Beyond her amazing story and her journey to creating this company, I dove into how Claire architects her business, her events and her community. One issue that Claire and I get into is how to include men in the conversation. What are the levers available to us to design an intimate, safe and productive conversation for women (her primary audience) while allowing men to participate, to help, to learn? How do you design a conversation about gender issues without letting gender become an issue? Claire has been tinkering with a design that allows men to ONLY ask questions...this format would draw a hard line on mansplaining. Like Jeopardy for conversations, it's a rigid restriction, but would keep men honest: Am I talking to be heard, or to be curious and to learn? It's giving men who want to come to the town halls a hard line: Ask or be silent. Don't declare or explain. When I heard that idea, I offered another option: The fishbowl, where men can *only* listen, from the outside. It's a harder line (but easier to follow for the men! )...and there's a lot of intimacy created for the inner circle of the fishbowl, with no cross-talk possible. Which is "better"? No men? Men listening in, with no input? Or men inside the circle, but only asking? Each conversation design has implications, repercussions, challenges...there's no best! Claire, like any great designer, will tinker, test and try and see which feels right for her and her community. Two conversations we didn't talk about enough: How Claire manages her own *internal* conversation. Claire is bootstrapping LGP financially and emotionally! Right now, she doesn't have the mentorship and support she is offering so energetically to others. Taking a step back and getting you core needs cared for is 100% essential for founders! The other conversation we didn't dig into is negotiation tips and perspectives. For that, you might want to listen to my interview with Harvard Negotiation Professor Bob Bordone, and download my negotiation prep sheet on the downloads page! You might also check out episode 13 with Rei Wang , Director of the Dorm Room Fund, where we talk about community building and episode 4 with Sara Mitchell of Faraday Futures, where we talk about listening to users: but not all of them! When I look back at the way, way too many Instagram photos I posted during my week at Harvard's Program on Negotiation, I'm left with a sense of awe and gratitude. If you take a listen to episode two, you can hear me getting a solid tip to take the workshop from Leland Maschmeyer, a very smart dude and chief creative officer at Chobani. When someone like that tells you that this class is the best, most worthwhile he's ever taken, you listen. It was *still* hard to take time and money to go. I'm seeing this now with my upcoming Facilitation Masterclass that I'm co-hosting with Think Clearly's Mathias Jakobsen. Someone just canceled their attendance due to a client workshop coming up! I get it. I told my biggest client that I was taking the workshop at Harvard and to not even *tell* me about anything that might pop up that week. I didn't want to get FOMO. I couldn't know, wouldn't have guessed that my experience as a design thinker and facilitation coach could have prepared me well for my experience at Harvard, or that there would be so much overlap in the Program on Negotiation's approach and the design thinking approach to empathy, active listening, co-creation and ideation. I didn't even think that negotiators cared about that stuff. Robert Bordone, my professor, turned out to be a kindred spirit. And while some of my negotiation counterparts during the training felt that my drawing, colorful post-its and whiteboard use was weird, Bob got it and loved it. We've been talking for months now about how to combine our offerings into something fun and exciting! As a professional facilitator and conflict resolution consultant, Bob works with individual and corporate clients across a spectrum of industries. He specializes in dispute systems design and in assisting individuals and groups seeking to manage conflicts in highly sensitive, emotional, or difficult situations. Negotiation in our culture is a bad or fraught word: it makes people anxious. We see negotiations as win/lose, contentious. That's a misunderstanding. It doesn't have to be win lose. Bob sees negotiation as a creative act that generates possibilities and that can create new value. I took away three big Insights from our conversation. You *must* take the perspective of the "other side". The "untrained" negotiator only asks their counterpart questions about their interests and preferences 7% of the time. Finding more about *why* people want what they want is the key to great negotiations. Before you even get into the room, you need to spend half of your prep time thinking, not about what you want and think you can or should get, but what the other person thinks *they* can and should get and why. That's why I made my 1-pager negotiation prep sheet, which synthesizes and summarizes the key elements I learned. It's divided down the middle to remind me to take that time and think one-to-one on all aspects of a solid negotiation preparation. You can download that in the show notes. Bob also talks about going "to the balcony" to look at the whole situation from an outside perspective, which can be very powerful. When you find the points of difference in criteria, interests and positions, the negotiation doesn't have to devolve into conflict. You differ. Congratulations! You've identified a dilemma, a core issue. You can call that difference out, and ask "How might we close the gap in our positions?". Then, you can negotiate about the negotiation. You can discuss the differing positions, and lay them all out. The fresh air and sunlight will only help make the process more enjoyable and productive. Don't be afraid of the conflict. Name the game, and find a new way to play it. If you can frame the core conflict with an opening, welcoming question, you and your counterpart can generate multiple potential solutions using many of the tools available in the Design Thinking canon. Negotiating about the process can be a lot easier than deciding the issue. A fair process is easy to choose. A fair outcome is then a lot easier to see, even if we don't get everything we want. So... Enjoy the episode. Bob is a wonderful thinker! You should check out the show notes and watch some of his other lectures online, especially his talk about increasing conflict capacity! Below are nearly all of the images I scribed during the week. There's a lot! Today I talk with Kate Quarfordt, the Founding Director of Arts Integration & Culture at City School of the Arts. My conversation with Kate was a rich and wonderful surprise! I found her 4-seasons framework someplace in the corners of the internet and was immediately enchanted with it. Spring, Summer, Fall and Winter as metaphors for the flow of work... The Framework is so powerful in the types of conversations it allows into the larger conversation about work, especially winter, a time to reflect and consider, to heal and incubate. It's rare to make space for that type of work! (see a link to the model and our first meeting on twitter here)…her original image is really lovely, a watercolor work of art! I’ve made a “cleaned up” black and white version here. The opening and closing circles Kate hosts in her school to bookend the week...it touched my heart! It's such a beautiful way to work. And so similar to how Daniel Mezick gets organizations to shift how they work through Open Space Agility! Check that episode out here! This conversation has started to open up the idea of threads and threading in conversation design for me. I first got the sense of threading from my conversation with Nandini Stocker, Google's Head of Conversation Design Advocacy. As I see it now, the arc of a conversation is made of stories. And the way Kate describes our stories coming together to make a new one, using the word "Braiding", makes so much sense. Conversations are the exchange of stories, and placing ourselves and others into the hero role, shifting perspective as empathy and generosity demands is the flow of real dialogue. Finally, we talked about how creative work requires an audience! An Audience provides a "pull" and "push" for work. At least, that's the way I experience it. Even when I don't feel like it, I push myself to finish work on an episode because I know people are waiting (pulling) for it. And there's a loop of feedback on the work: People write me to tell me what was great and where I missed the mark. That's one of the reasons that I feel the conversation between an organization and its customers is one of the most critical, missing pieces in companies that struggle with a sluggish work cadence. There's not enough urgency. If you want to dig into that conversation more, check out the episodes from Rei Wang, Director of the Dorm Room Fund and Sarah Mitchell, Lead designer at Faraday Futures. Both helped me see principles at work in sustaining great conversations with customers and community. Thank you so much for listening and I hope you enjoy the episode as much as I did making it ! Mary Oliver: making yourself visible to yourself in a way you never imagined! I don’t mean it’s easy or assured; there are the stubborn stumps of shame, grief that remains unsolvable after all the years, a bag of stones that goes with one wherever one goes and however the hour may call for dancing and for light feet. But there is, also, the summoning world, the admirable energies of the world, better than anger, better than bitterness and, because more interesting, more alleviating. And there is the thing that one does, the needle one piles, the work, and within that work a chance to take thoughts that are hot and formless and to place them slowly and with meticulous effort into some shapely heat-retaining form, even as the gods, or nature, or the soundless wheels of time have made forms all across the soft, curved universe – that is to say, having chosen to claim my life, I have made for myself, out of work and love, a handsome life. Holding Space is incredible power: Who initiates the request? Who Has permission? The Paradox of Flow vs Framework: Absence of Structure vs. Structure vs. balancing who introduces the structure. What's the Deal with Agile? How is a school like a conversation? Moving from the School-As-Script model to the School-As-Dialogue model. "As I was transitioning into the rest of my day I realized that there was one last thing that I wanted to share apropos of the winter phase and the importance of rest and rejuvenation--not just in the creative learning space, but also in the context of activism and resistance. As I mentioned, we are doing a lot of work with young folks around using the arts as a vehicle for activism, especially given how passionate they are about making their voices heard in this current political moment. On Monday night I had the chance to perform with the Resistance Revival Chorus, a women/femme-led singing group created by the leaders of the Women's March to keep the momentum of the march moving forward and also--crucially--to frame joy and rejuvenation as acts of resistance in and necessary elements of a sustainable movement. Paola Mendoza, co-artistic director of the March, and one of the producers of Monday night's event, said something that evening that resonated super powerfully with me. She said, "The resistance is not a sprint, but it's not a marathon either. It's a relay race." I love that image because it evokes the sustainability that becomes possible when hard work and leadership are shouldered by a full community instead of by a single individual. There's a sense of permission implicit in this approach, the understanding that it's ok for each member of the community to pause and refill the tanks every so often, because there's always someone else right there who's ready to take up the baton and run the next leg. In the context of the season wheel, this is the idea that different community members can be in different phases at different times... it's OK for you to be in winter, because you know I'm in summer and I've got you covered, and then we can switch so I get a chance to rest and reflect while you keep the work moving forward. I'm excited to bring that relay race image back to the kiddos when we gather to kick off year two. In episode I talk with Stephen Sokoler, the founder and CEO of Journey Meditation, a company dedicated to a world where more people meditate! I wanted to talk to Stephen because the inner conversation we need to foster is often forgotten completely. Instead, we focus on our teams, our organizations, our communities...all of the other critical conversations we've discussed in past episodes. But without going inward, the whole thing falls apart. Meditation is like when an actor goes backstage to freshen their makeup, change costumes, look over the script... In life, we go from role to role without pause...and meditation is a way to step back and let it all chill. I screwed this episode up! I'll be honest. I've done it before. When you're doing your own field recordings, it's easy to press the record button once, watch it blink, check your levels and then get into the interview. Oops! You actually need to press the button twice! The blinking stops and the seconds counter goes up. I messed up and lost about 30 minutes of sweet, sweet conversation with Stephen. Noticing it during our interview sent a cold chill through my whole body. I just wasted this man's time, terribly. I had two options. Say nothing and try to "fix it in post" or cop to it and try again. I went for honesty...and since we're friends, Stephen humored me and we started over. I mention this, not because I love honesty or vulnerability (although I do!) but because you might hear how the conversation with Stephen starts off a little stiff, a little mechanical. We are both *pushing* energy into the system to try to get the energy of the conversation back to where it was! It's not tremendously noticeable...but you'll hear, once we get to the halfway point, things relax, we find a new thread for the conversation instead of trying to pull back towards the old one, and the conversation finds a more natural tone. Meditation is like this, too. Being present has a gravity, but we can lose it, drift off to wherever. And we have to "bring ourselves back" in a way that isn't forced or artificial. In the episode, Stephen and I discover another really interesting point, a connection between meditation and conversation that I hadn't noticed before. Meditation is about coming back to your center. Recently, I was talking to a facilitator friend of mine who described his role as "holding the center" ...facilitating a great team conversation is about holding that space for real dialogue, open, at the center, and keeping people who drift off from getting too far. We just bring things back, as gently as we can, to the thread and keep things going. Enjoy the episode! Stephen is a gentle and passionate soul, building an amazing company based on something he truly loves...I learned a lot from this episode, and I hope you do too! The Four Core Conversations: Medium Article coming soon! Elliot was kind enough to do our episode on site at Brightspot's offices in the Financial District here in NYC and as we walked around chatting about various artifacts in the office, Elliot's love of space as a primary material of design was clear. As he says in the opening quote: the right space can facilitate work, help express ideas, support and reinforce or make culture manifest. 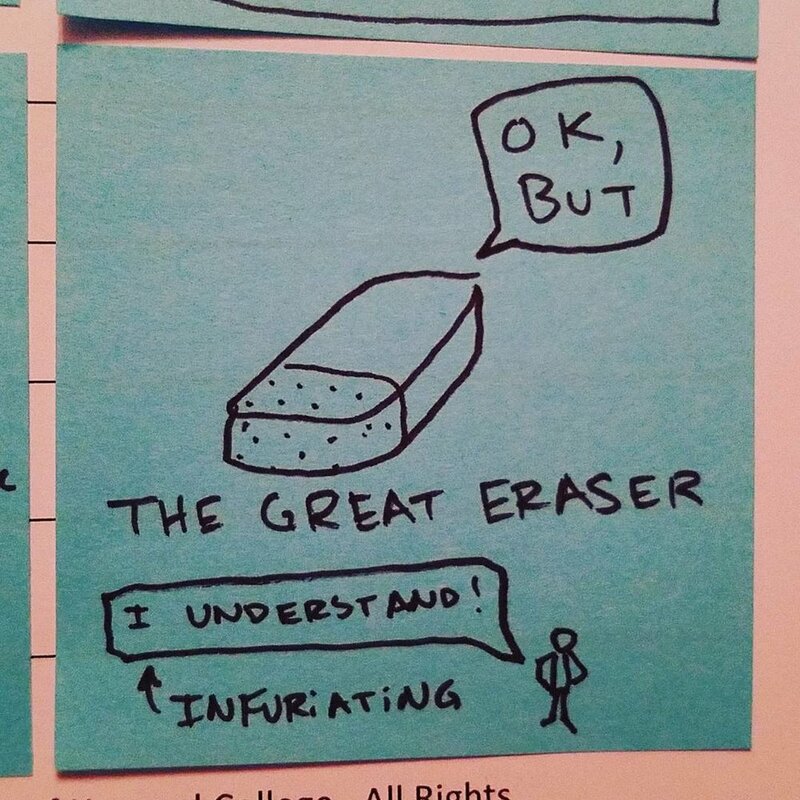 I've seen this in my own facilitation work: I can't tell you how many times I've seen a group get stuck in rut, literally because they'd run out of wall space to work with. Just giving them a new wall to work on gave them a new space to have a conversation, got them unstuck. Walls help make work visible, and when work is visible we can have more productive conversations. Without it, we slow down. 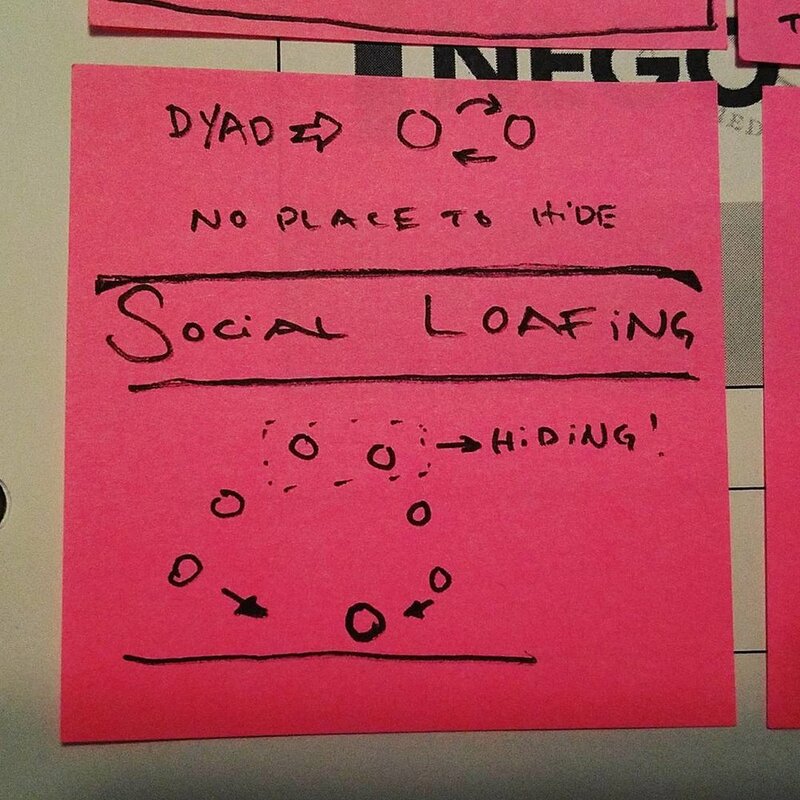 Designing the space work takes place in *is* conversation design. Change the space, change the conversation. At Brightspot they frame challenges as a three conversation checklist: Examining the Spaces people are in, the services offered in those spaces, and how people are organized in that space. This checklist is, itself, a design for a productive client-consultant conversation. Trying to shift a system by approaching one of those conversations and not all of them is going to be harder. On the other hand, changing all three at once might be tough. But having the conversation about space, content and people is clearly crucial, that's why Brightspot designs their client conversations to include each of these three aspects of work. When I teach facilitation I always tell people that they have to make the space they are facilitating in their own...and my favorite story of this is one of my first days working with Applegate Farms, an organic food company, back in 2013. The room we were working in was large, cavernous, and had three big tables arranged in a "U" shape, with a screen projecting at the mouth of the U...the room had been designed for presentation, for the "sage on the stage"...but I wanted the group I was coaching on design thinking to collaborate, not focus on me! The U made everyone sit on the outside, facing me, not each other. So during the break, I took the foot of the U and rotated it, so all three tables were parallel. The team walked in and was a little disoriented...the room was the same, but the energy was different. They sat in the chairs, facing each other, and we could get down to work in the style I was trying to cultivate. Thinking about your own work: Is your space working for you or against you? Do you have the right variety of spaces, large, small, intimate, public, to do your work? In conversation design, we talk about the Q: the requisite variety of talent on your team, the right balance of familiar faces and fresh blood...it seems like, in talking to Elliot, that there's a similar quality of balance to be found in the spaces a truly functional company inhabits. If your space isn't working for you, shake it up! Expertise Audit: What do our people know? What knowledge aren't we tapping? Vertical years and Horizontal years: Alternate Keeping the work the same and adding people with new skills and Evolving the offering. Idiosyncrasies of Leaders can be scaled unintentionally: Elliott over-analyzes, so his org tends to as well! Be intentional about communicating what's optional and what example you're setting, what aspects (quirks) of your personality you're transferring to the culture. Focus and Time: Choosing our battles and having the time to fight them: Is there a better word: Where to learn and how to grow?